PT Astra Otoparts Tbk - AOP or known as "Astra Otoparts" is the largest public-listed automotive components manufacturing company in Indonesia. Astra Otoparts operates primarily as a producers of automotive components. Its business include manufacturing and trading automotive components. Astra Otoparts engaged in manufacturing and distributing of wide range automotive components for two wheelers and four wheelers, with the largest market segment in Original Equipment Manufacturer (OEM) and Replacement Market (REM). Astra Otoparts is a directly-owned subsidiary company of large diversified business group PT Astra International Tbk (Astra Group). 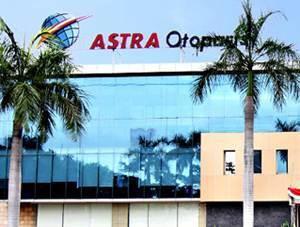 At present, Astra Group holds 80% shares in Astra Otoparts. Other 20% remaining shares was owned by public. Astra Otoparts is based in Jakarta and now supported by 7 business units, 14 consolidated subsidiary companies, 20 associates/jointly controlled entities, 1 cost company, and 10 active sub-subsidiary companies. Astra Otoparts succeeded in posting excellent financial performance in 2016. according to PT Astra Otoparts Tbk Annual Report 2016 as cited by JobsCDC.com, total net revenue in 2016 achieved Rp 12.8 trillion. That number was 9.2% higher than Rp 11.7 trillion total net revenue booked in 2015. Referring to its annual report, total net income growth by 31.3% amounting to Rp 418.2 billion in 2016 from Rp 318.6 billion in 2015. Associate Degree (D3) in Mechanical and Manufacturer Engineering. Able to work in a team as well as independent. JobsCDC.com now available on android device. Download now on Google Play here. Please be aware of recruitment fraud. The entire stage of this selection process is free of charge. 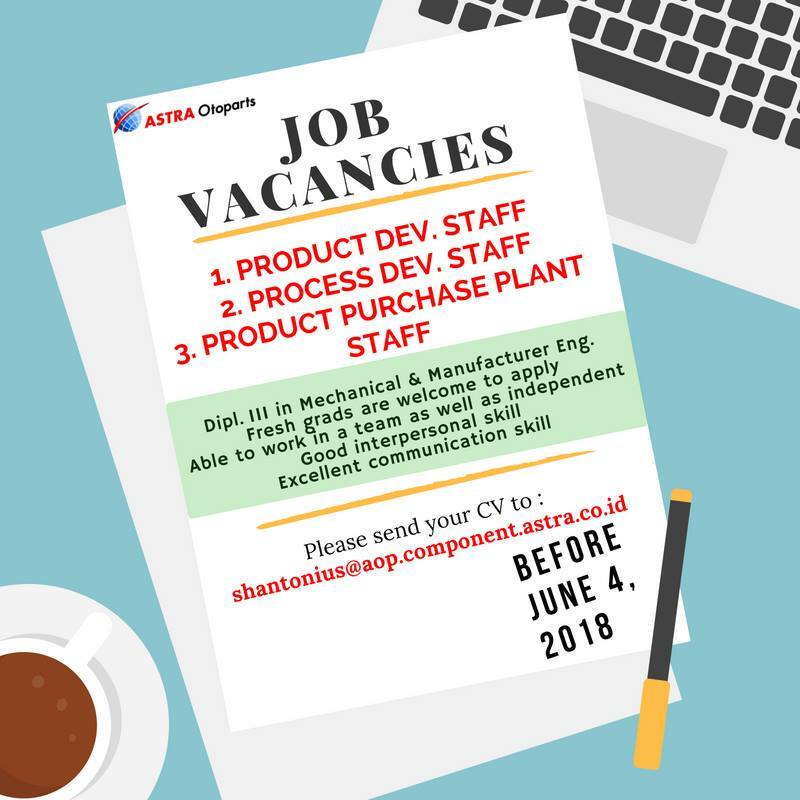 PT Astra Otoparts Tbk - D3 Fresh Graduate Staff AOP Astra Group May 2018 will never ask for fees or upfront payments for any purposes during the recruitment process such as transportation and accommodation.